My Body is a Wonderland! You know how some days are really bad days? When you hate everything about yourself and your body? You feel fat, cellulite is visible in all the wrong places, new zits are forming right in the middle of your cheek, you have no clue as to what's up with your hair flying in different directions!!! Well ... today is the exact opposite of that. I feel like a super-woman, body is looking 'haawwttt', skin is supple soft, and hair are exceptionally shiny and bouncy. It's a pity that I have no social appearances to make today else I would have totally knocked a few people off their feet. Now, you might wonder, how'd that happen suddenly? My response - Are you crazy? There is no chance that it would happen out-of-the-blue/one-fine-day. This is the result of persistent and consistent training. Approximately, 4 years back I had made a note of - what I believe should be my ideal measurement - and since then I have recorded every single measurement I have had. Today, after 4 years, I have managed to be just about 90% there. The best part of it all is, that I am not skinny - I am fit! I have muscle, I have strength and I have curves. And I eat everything my heart desires. Life couldn't get any better (or could it?). I hope I am able to inspire people to stay on the healthy-band-wagon and not look for short-cuts. Coz' I am sorry to inform that there none. But the good news with this long process is that once you get there it's forever. Slow and steady, indeed wins the race! Awesome! Self love is the highest love! Hahaha.Congrates!Gr8 achievement.Its like a dream come true. Thoroughly enjoying your posts...Keep going babes! All - Thank You! Thank You! Wow! Remarkable and inspiring transformation. You give new meaning to Possible with your dedication and achievement. Viintii - Thank U! You haven't seen the pictures from my childhood which my dear husband saw this weekend. He called me bulldozer ;) That shows the REAL transformation! Anita - You can be the next "Best" ... hehe Love You! LOL at ur husband's comment!! Ur transformation is amazing and inspiring. I so agree with u - there are no shortcuts. That reminds me how is ur marathon training going on? 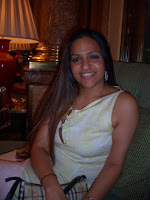 Thank you ji for posting this picture from the days of yore!What an absolute makeover with the added perks of being fit.Needless to say,very inspiring :).Now dig up more pictures from not-so-svelte past,sooooooon! hey u r d only blogger (dat I follow) who blogs abt fitness..!!! I am loving it...plz continue d good work..
this is partly there!Not fully though!